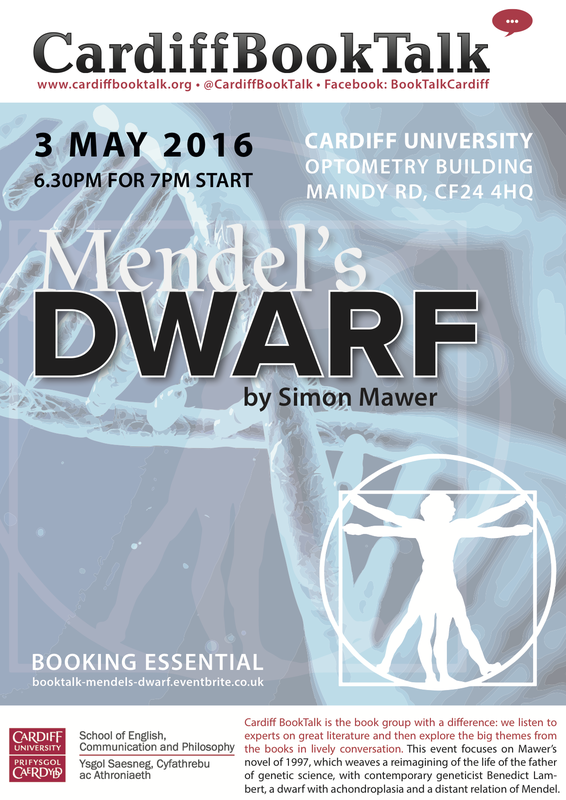 The third BookTalk of 2016 looked at the intersections between science and literature in Simon Mawer’s Mendel’s Dwarf (1997). The novel weaves together a reimagining of the life of Gregor Mendel, the father of genetic science, with contemporary geneticist Benedict Lambert, who is both a dwarf with achondroplasia and a distant relation of Mendel. Our speakers for the evening were Prof. Angus Clarke, Dr Erin Pritchard and Prof. Martin Willis.